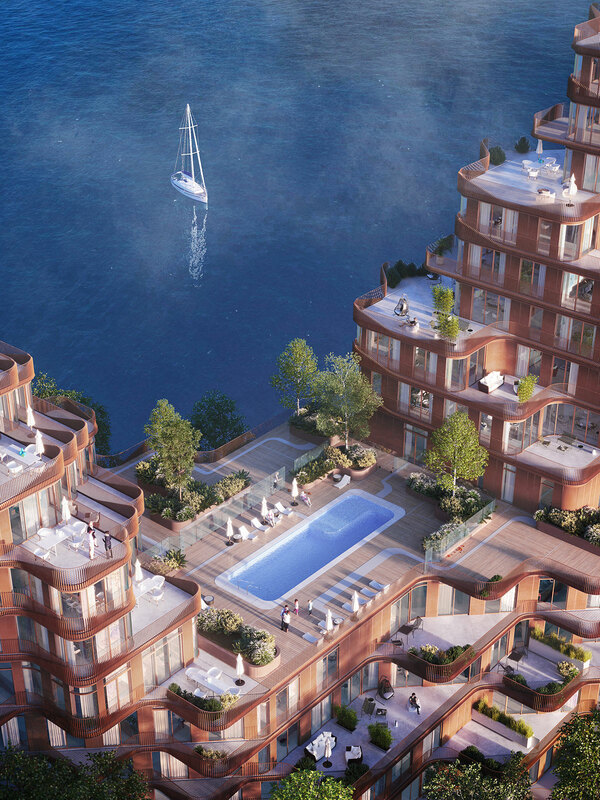 Aqualuna at Bayside Toronto™ will be the fourth and final residential phase of Bayside Toronto, a 13-acre mixed-use development on Toronto's waterfront. 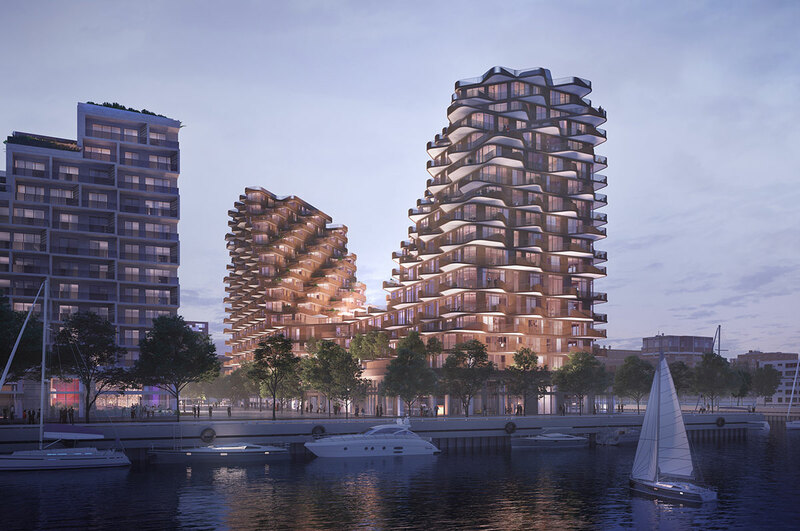 Designed by Denmark-based architects 3XN, Aqualuna will feature two 16-story, mid-rise towers that step back strategically as they rise above a podium to maximize views of Lake Ontario and the city. The building will include 225 condominium units and a large sixth-floor amenity terrace and pool with spectacular views of Lake Ontario and direct access to an indoor lounge. The ground floor of Aqualuna will feature approximately 20,000 square feet of retail space and a 24,000-square-foot City of Toronto community center. Aqualuna at Bayside Toronto™ will pursue a LEED® Platinum designation and will be part of Toronto’s first LEED-ND Gold neighborhood.